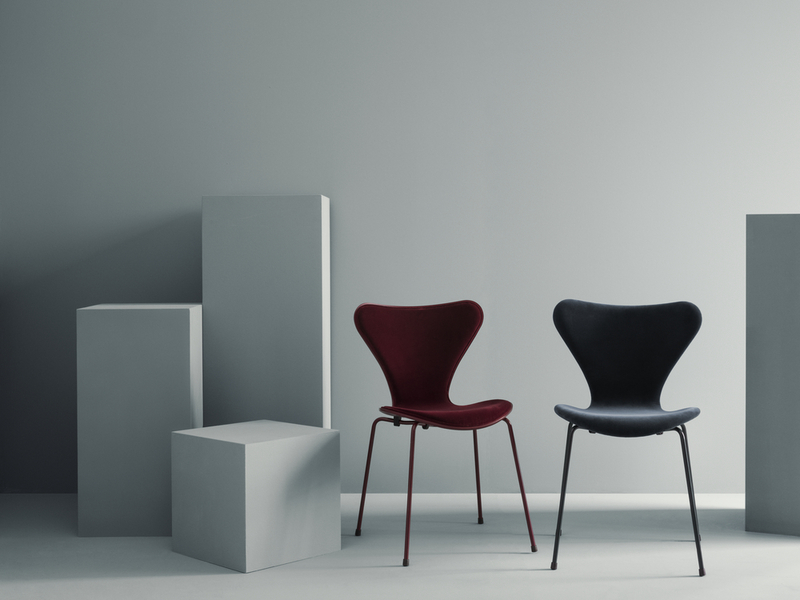 One of the most iconic mid-century classics, the Series 7 chair, designed by Arne Jacobsen in 1955, has been fashionably dressed for the collaboration between the Republic of Fritz Hansen and the Berlin-based fashion brand Lala Berlin. 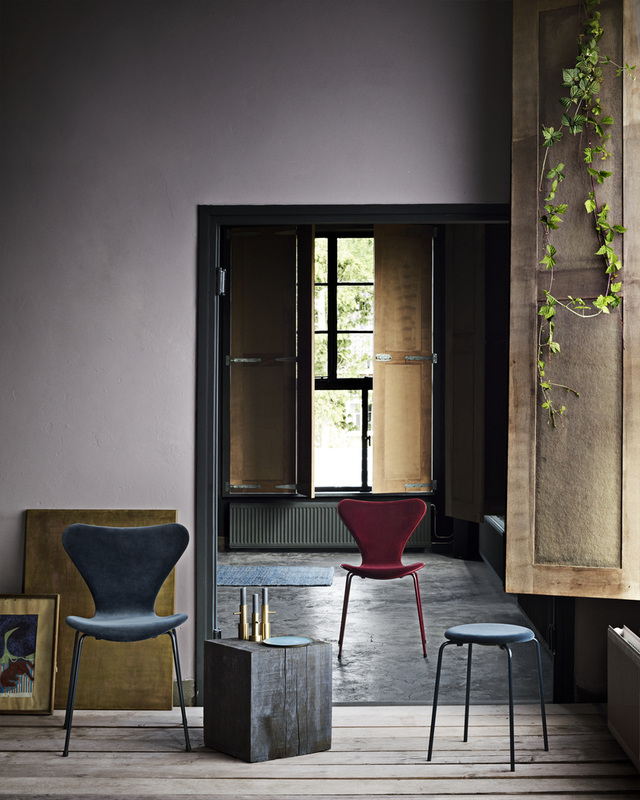 In this fashion-meets-furniture alliance, bold colours and luxurious velvets meet modern-era furniture design, not only keeping the chair relevant in time but also emphasising the Series 7’s feminine shapes. The Collaboration In the pursuit of the perfect union of forward-looking fashion and enduring furniture design, Fritz Hansen teamed up with designer Leyla Piedayesh, the woman behind the successful fashion brand Lala Berlin, known for her creative mind and unique ability to interweave her Middle Eastern heritage and Berlin’s modern, bohemian ambience. Lala Berlin was founded by Leyla Piedayesh, who was born in Tehran, Iran in 1970. Today, her Berlin-based, Berlin-inspired fashion brand is sold in fashion capitals all over the world. 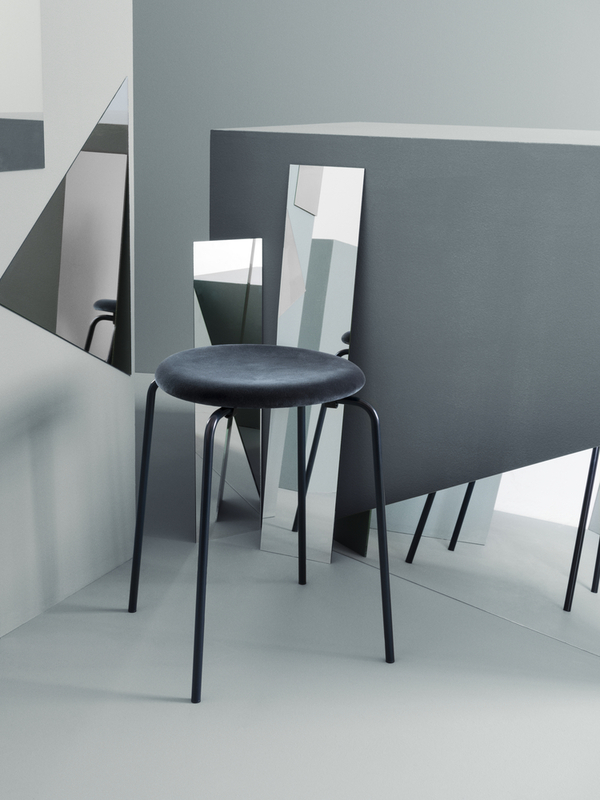 The mission: to reinterpret the iconic Series 7 chair. The result: a perfect match between the softest velvet in warm, elegant tones and powder-coated legs that complete the modern, monochromatic expression. The Lala Berlin x Republic of Fritz Hansen collection consists of a front-upholstered Series 7 in the colour Lala Barberry and a fully upholstered Series 7 and Dot stool in the colour Lala Caspian. Both the Series 7 and the Dot are upholstered in rich, comfortable and durable velvet produced by the Italian fabric house Dedar. - Velvet brings back memories of my childhood in Iran and, above all, is comfortable and cosy. 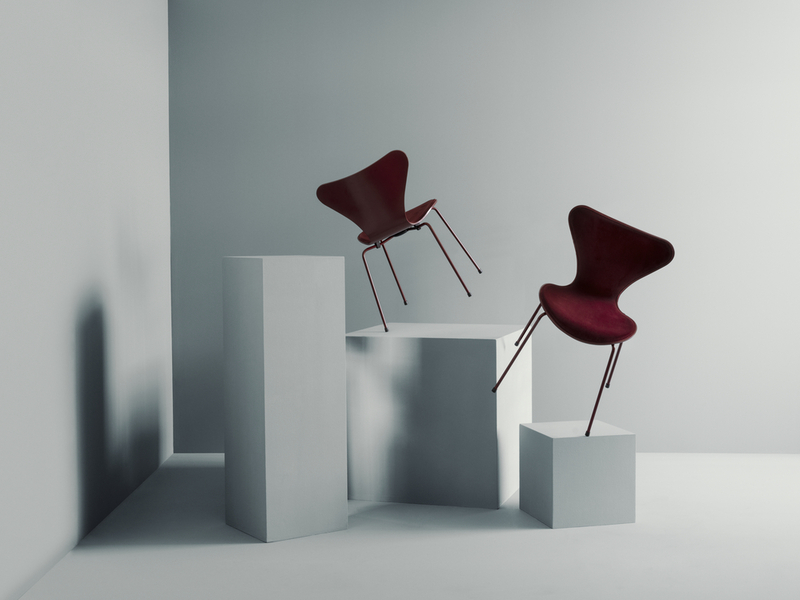 Taking this approach to a chair as iconic as the Arne Jacobsen Series 7 has been a great opportunity for me, says Leyla. The colours are interpretations of her Iranian heritage. 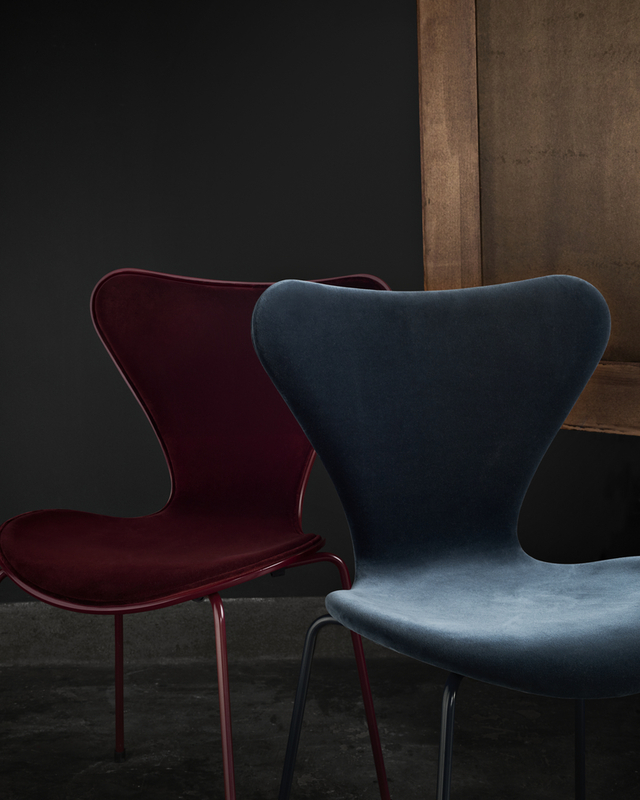 The midnight blue Lala Caspian and the burgundy red Lala Barberry evoke memories, traditions and sensations – and fit seamlessly with the palettes of both lala Berlin and the Republic of Fritz Hansen. - The dark blue takes me back to midnights in the city of Isfahan, Iran, and the Cimmerian water of the Caspian sea, and when I see the burgundy shade, I can almost taste the barberries used in traditional Iranian cuisine. These two highly saturated shades are also widely used in the creation of Iranian rugs and can have the same mesmerising effect as an intricate rug pattern, says Leyla. The special Lala Berlin x Republic of Fritz Hansen collection is available in Republic of Fritz Hansen Concept Stores as well as selected stores worldwide from October 2017 to October 2018.